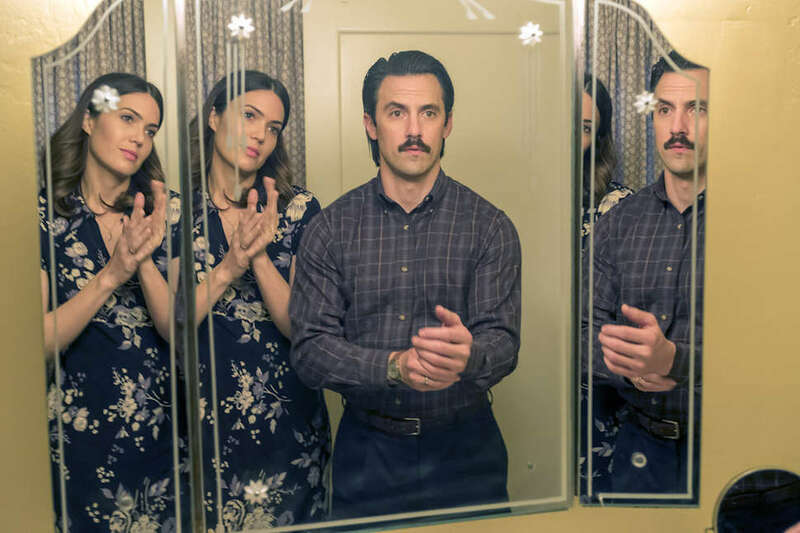 This Is Us wrapped up its emotional second season back in March, teasing a few threads about the drama ahead: What will Kevin find in Vietnam? Did something trigger Toby's depression? Who is the mysterious "her" future Randall and Tess are referring to? Despite its reputation as a tear-jerking family show, This Is Us also loves a good mystery. Though we've now seen the circumstances surrounding Jack's death, there's still a lot of Pearson family drama left to explore and uncover. Here's everything we know about Season 3, so far, compiled from interviews with the cast and creators. When is This Is Us Season 3 coming back? NBC picked up the second and third seasons of This Is Us back in January 2017, once it was clear they had a massive hit on their hands. Series creator Dan Fogelman confirmed at a SXSW panel in March that there will be 18 episodes in Season 3, and that it will return on September 25 in the same primetime spot it occupied for Season 2. Jack may have died in Season 2, but given the show's unique structure -- rife with flashbacks, flash-forwards, and the occasional dream sequence -- don't expect him to go anywhere. In the finale's aftershow, This Is Us executive producers Isaac Aptaker and Elizabeth Berger spoke about Jack's story going forward. "I think Season 2 was so much about Jack's death, obviously, and I think Season 3, in a really cool way, is going to be more about his life and sort of focusing on these chapters that we haven't yet seen," said Berger. "I think Jack has alluded to Rebecca that he has a lot of secrets and there are parts of his life that even she hasn't been privy to, and we're going to get to really explore those parts in a really exciting way." Fogelman also teased that Season 3 will have more "Jack and Rebecca origin stories," and in a promo for Season 3 released in late August, one of the few things that's actually teased is the couple meeting for the first time. We're going to need their sweet love story after the finale ripped our heart out with a fantasy sequence of an older Jack and Rebecca renewing their vows. Season 3 will be "a big Vietnam season"
That's according to Fogelman. At the end of Season 2, Kevin and his new girlfriend Zoe -- and Beth's cousin -- leave for Vietnam to maybe meet his secret half-sibling Jack fathered during his time overseas and never mentioned. There, we'll dive into Jack's past, with Milo Ventimiglia back to play young Jack, and his time as a solider in the Vietnam War, where he and his brother Nicky served. We know very little about this time in Jack's life except that his brother Nicky (Michael Angarano) died there and that it drove him to the bottle. "It’s always been clear that there’s something underneath [Jack] that we haven’t learned about -- what happened to him, what happened in his backstory," Fogelman said at a For Your Consideration event. "So a big part of our season [...] is learning that story." To help out with wartime authenticity, Fogelman brought on writer Tim O'Brien, who wrote the semi-autobiographical novel The Things They Carried about the Vietnam War. "Tim has been a writing hero of mine since college," Fogelman told Deadline. "I've written more papers on The Things They Carried than I am comfortable sharing. It was incredibly intimidating bringing him into our room to discuss a Vietnam plot line -- and it was even more rewarding. I've never said this before, but I can’t wait to be rewritten by him." The last time we saw the teenage versions of Kevin, Kate, and Randall, they were mourning their father at his wake. We know through Rebecca that Kevin left the family pretty quickly after graduating high school, and that he married Sophie around that time. We also know that Kate stayed in Pittsburgh for a while, presumably never going to Berklee College of Music, and that Randall met Beth and had Tess when he was 28. Other than that, there's no clear timeline of what happened in between these years, or how the kids specifically dealt with their dad's death. Aptaker told Glamour that Season 3 will dig into the year after Jack's death. "It happened in February of their senior year of high school, which is a seminal time no matter what. They also had this tragedy occur, which affects the rest of their lives, so we're going to dive into that year where there're so many stories to tell about the decisions they make and the way they react to their father's death shaped the trajectory for the next 20 years of their lives." We know that Rebecca married Jack's best friend Miguel years after Jack's death, but we still haven't seen exactly what happened after the two reconnected on Facebook. Was it an immediate thing? Did it take some time? And what was Miguel's role right after Jack died? All of that will be answered in Season 3, according to Aptaker. "Miguel is the man who tries to step in and help Rebecca manage the Big Three as she's putting her life back together," he said in an interview with Variety. "What that looks like does lead to the future as we know it for them -- but how exactly that plays out and how it leads to that moment we saw in the Halloween flashback episode, where he reaches out to her after many years, is going to be a big Season 3 story." Though they're seemingly perfect, This Is Us Season 3 will show some of the fractures in Beth and Randall's marriage. We've already seen some of the strain after the two started fostering, and after they opened a business together. "There will be a bit of an exploration of marriage with regards to Randall and Beth going through times that aren't all sunshine and rainbows," Sterling K. Brown told People. "And that's not to say that they are in danger of parting ways, but marriage is real and takes work." We'll also see more of Beth in general. Watson told TVLine that we'll see more of Beth's family going forward, after being introduced to her cousin Zoe in the Season 2 finale. Deja's mother surrendered her daughter to foster parents Beth and Randall in Season 2, but not without a fight. Things might get even more complicated with the introduction of her father in Season 3. According to Berger, Deja "may know more about him than we previously let on," and that "we'll get to know a little bit more about what that relationship is moving forward." We've known since Season 1 that Toby struggled with debilitating depression, and the Season 2 finale showed that it's an ongoing issue, with Kate comforting her clearly distressed husband. According to Berger, we'll see more of what lead him back to this point in Season 3. "Kate and Toby will be thrust into some stressful situations as we move forward, and that will definitely have an impact on Toby's state of mind," she told Entertainment Weekly, adding that we'll also learn why Toby's brother didn't attend his wedding. Throughout Season 2, we were treated to a few tantalizing flashes to a future Randall and Tess. The finale left us with a whopper, though. "It's time to go see her, Tess," Randall tells his daughter, who responds, "I'm not ready." "Me neither," he says back. Who is this mysterious "her" and why is it so difficult to talk about? Is it Deja? Rebecca? Is she sick? Already dead? Incarcerated? One thing's for sure: It's not Beth as a theory had been swirling about had speculated. Watson confirmed it ("[Fogelman] and I spoke about it -- they're not going to kill Beth," she said. "She's going to survive. It feels good to know. "), and Brown has backed her up with his own frustrating teaser in an interview with EW. "I know who the person is that future-Randall is referring to, but Fogelman would cut off my big toe if I actually told you who it was," he said. "But I can tell you it’s probably not what you suspect. In classic Fogelman style, it will be like, ‘Oh, wow -- didn’t see that coming.'" Both Fogelman and Berger teased that the answering is "surprising," with Fogelman adding it's also "ambitious." As if it wasn't already enough of a cliffhanger as is!